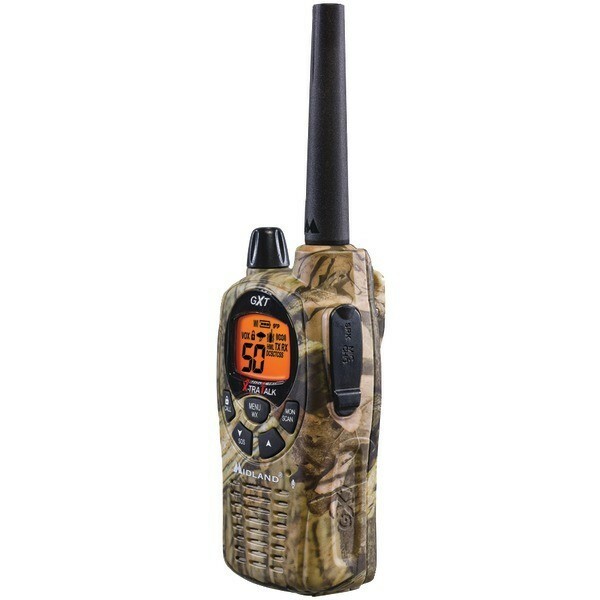 Need a compact two-way radio for your bug out bag? 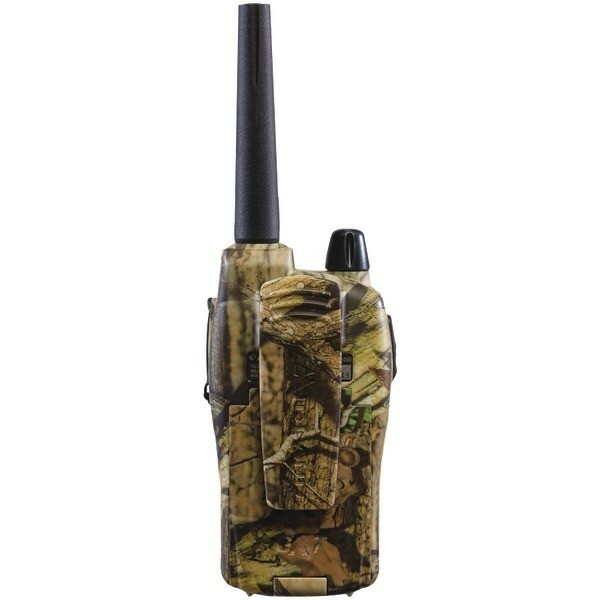 Got limited space but you need a reliable form of communication for your next hiking trip or to stow in amongst your hunting gear? 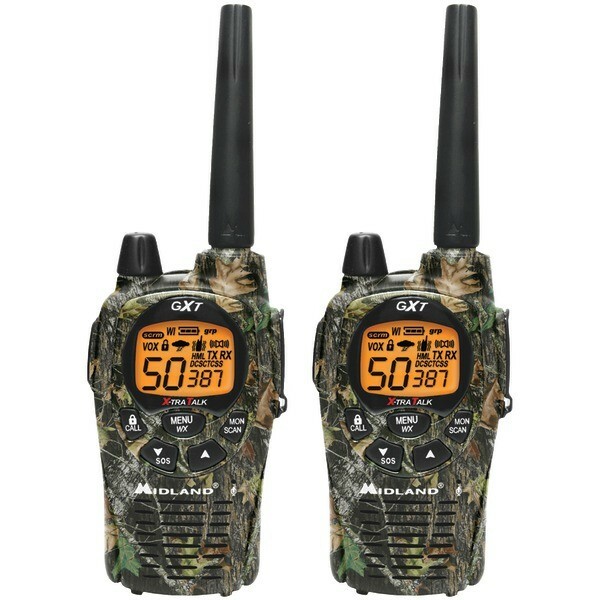 The Midland Xtra Talk GXT1050VP4 has you covered. These radios may be small, but they’ve got an array of features. 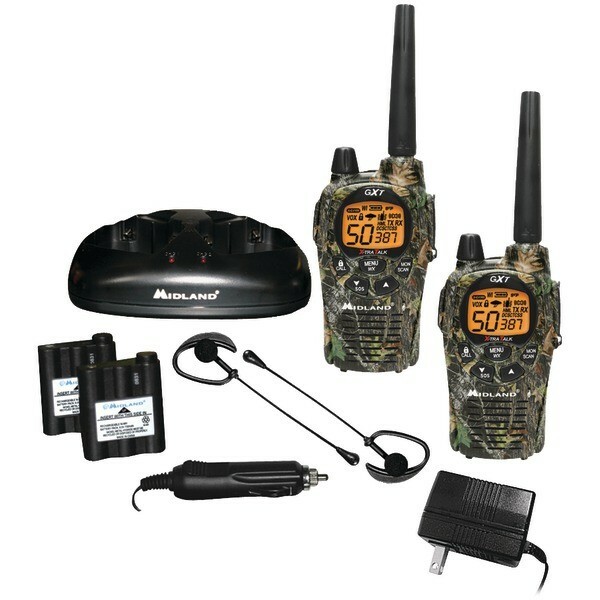 This four pack of two-way radios from Midland is the smart choice for emergency supplies and any outdoor activity. For those times when you want to communicate privately – or when you just don’t want to listen be disturbed by transmissions from outside your group, the Midland Xtra Talk GXT1050VP4 makes privacy easy. With a total of 50 channels and 258 privacy codes, you’ve got 6,270 channel combinations to choose from, so your community can quickly establish a private channel, where you won’t be overhead. Having so many available channel options is incredibly useful if you’re in a busy environment. For example, if you’ve taken your family to a theme park and you accidentally get separated, providing you’re all on the same channel and privacy code, you can easily communicate and regroup. Not only do you have the option of getting your team on the same channel, you can also activate Group Call when you need even more privacy. This function lets you call specific members of your group, without the remaining members hearing the transmissions. Or gobbles like a turkey, caws like a crow, roars like a cougar, or howls like a wolf – it could in fact be your Midland Xtra Talk radio, with its five animal call alerts. There’s times when you need quiet, whether you’re dodging zombies or just trying not to alert the wildlife to your presence. With the Xtra Talk from Midland, you can enter Silent Mode, which turns off all tones to ensure noiseless operation. If you still need to receive calls, the vibrate function will alert you silently. When operating the radio in silence, you may still need to communicate, and thanks to Whisper Mode, you can. Whisper your transmission and still be heard clearly by your team. With a clear line of site and minimal interference, the Midland Xtra Talk GXT1050VP4 is capable of receiving and transmitting clearly at up to 36 miles over land or water. This splashpoof two-way radio withstands light rain and splashing water. It keeps you weather-ready, too, with its weather alert function. It automatically scans for your local NOAA weather station, and gives you emergency alerts, so you’re never caught unawares. 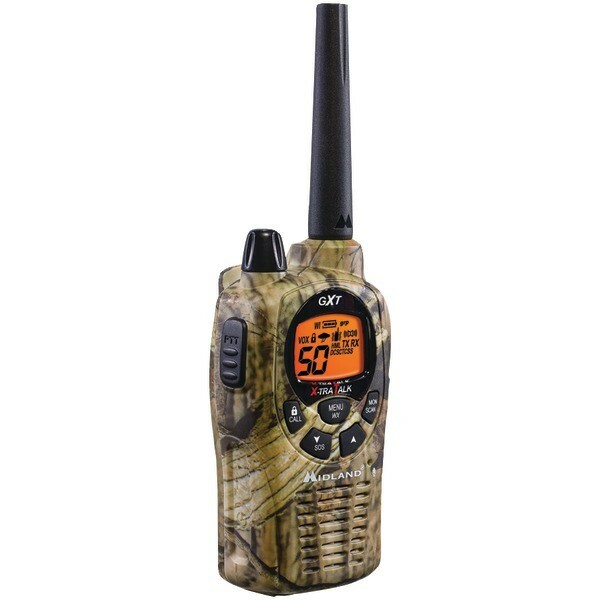 The Xtra Talk Midland two-way radio has a number of features that maximize convenience, including a backlit LCD, so you can operate it easily in the dark. It also boasts a keypad lock so you don’t accidentally change channels or alter your settings. You can adjust the power settings between high, medium, and low to maximize power and range or to conserve battery life. Yes, you can use the NiMH battery pack as your primary source of power. The desktop charger is easy to use – you just slot the radio into the cradle. And yes, there’s an AC and a DC adapter, but if you’re not near a power source when the juice runs low, you need an alternative. Thankfully, this Midland two-way is a dual-power model, allowing you to switch out the NiMH battery pack in favor of 4 AA alkaline batteries. So as long as you’ve got some spare AAs in your pack, you don’t have to worry about losing power.